Watch this slideshow and explore the types and causes of a sore throat and learn how to distinguish between sore and strep throat. You'll also find out how to get relief from symptoms such as that raw, scratchy feeling. Aches? Pain? Fever? 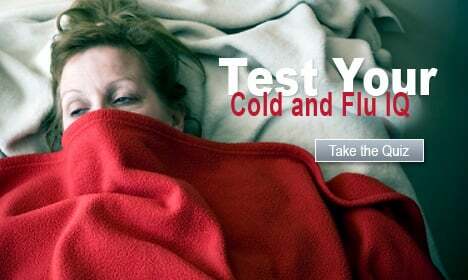 This Cold & Flu Quiz tests your knowledge on the difference between coming down with the common cold and sickness from the flu (influenza virus). Serious side effects from the flu shot are uncommon. Side effects of the injection vaccine may include soreness at the site of the injection, muscle aches, fever, and feeling unwell. The live virus vaccine nasal-spray does not cause severe symptoms. Typical flu symptoms in children and adults include a fever (100 F - 103 F), chills, cough, sore throat, stuffy or runny nose, headache, muscle aches, and fatigue. Home remedies to help flu symptoms include OTC medications. Cough drops and cough syrup can be taken to suppress a cough. If a person's symptoms continue worsen, they should seek medical care. Changes in the immune system of a woman who is pregnant can make her more sensitive to the flu. If you are pregnant, you should get the flu shot as soon as it's available in your area. 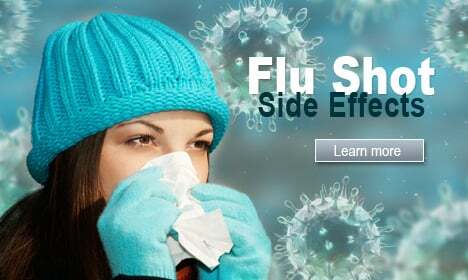 The flu vaccine is approved for pregnant women; however, pregnant women should not receive the nasal spray flu vaccine. Can using a neti pot relieve the sinus pain and congestion associated with cold and flu? Does echinacea shorten the duration of a cold? Watch this slideshow and see which natural cold and flu remedies work.